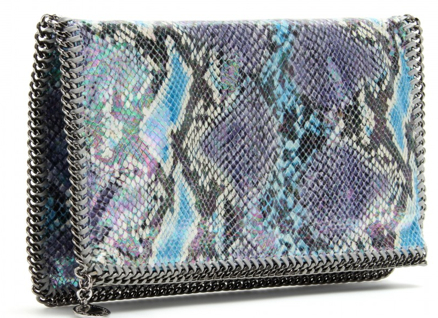 You are currently browsing the archives for Resort 2013. 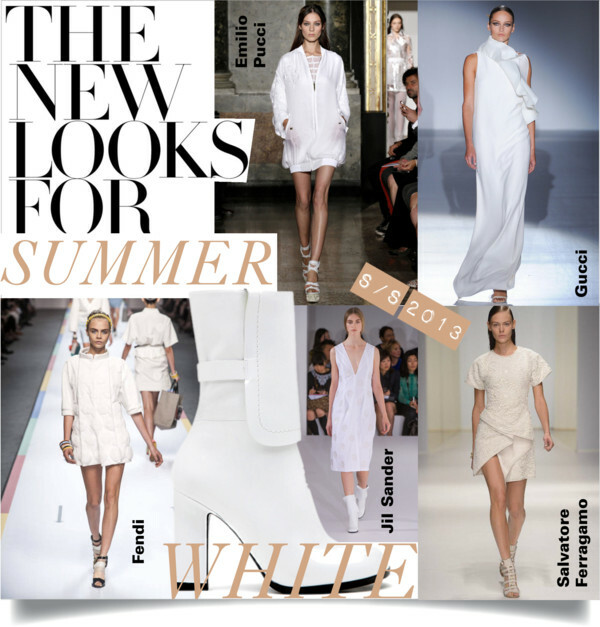 Start the season on the right foot with an all-white outfit. 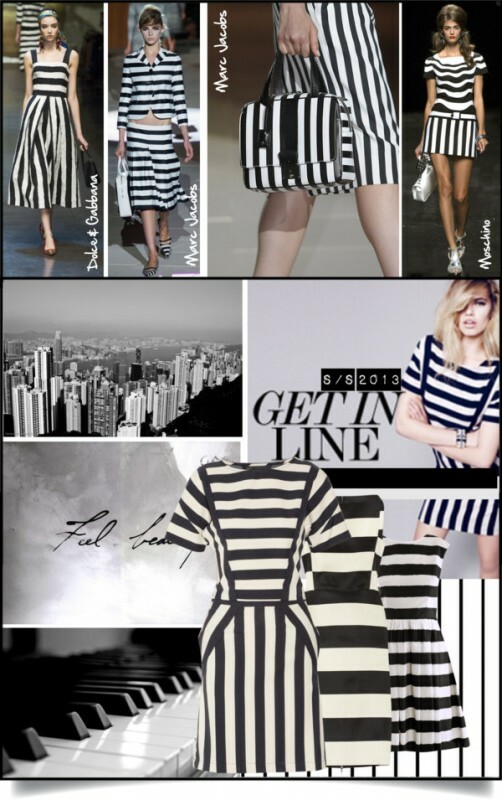 The non-colour has been seen head-to-toe on many S/S 2013 runways. But don’t think that you can stay with your average white cotton shirt that has been hanging forever in your closet. This summer, it is all about ruffles, laser-cut holes, panels, and stripes. Slice and dice! Chloé has some of the most beautiful looks for summer and the house’s designer Claire Waight Keller spared no expense to come up with some gorgeous details. What might normally be just another ordinary crisp white jacket was sliced at the sleeves to give it a major point of difference. Inspired by the Mercedes-Benz fashion film in which Karlie Kloss looks stunning in an all-white look from Chloé, here are some of the best pieces available at the moment. 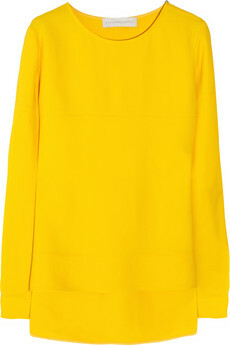 Sure investments in a season of style! These sandals from Balenciaga‘s Resort 2013 collection feature uber-cute origami bows and are about to become spring’s It-heels. TO SHOP THE ORIGAMI SANDALS, CLICK HERE! 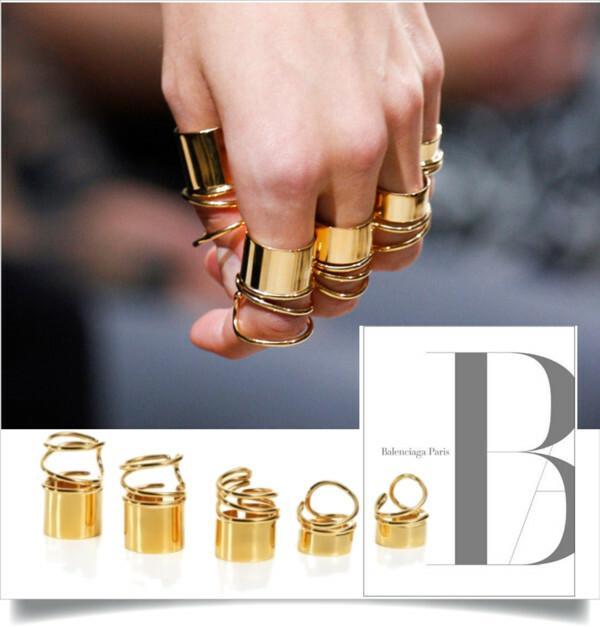 These golden finger rings that appeared on Balenciaga‘s S/S 2013 runway are absolutely divine. Better call the Paris store (+33 1 47 20 21 11) now to get on the extra-long wait list. 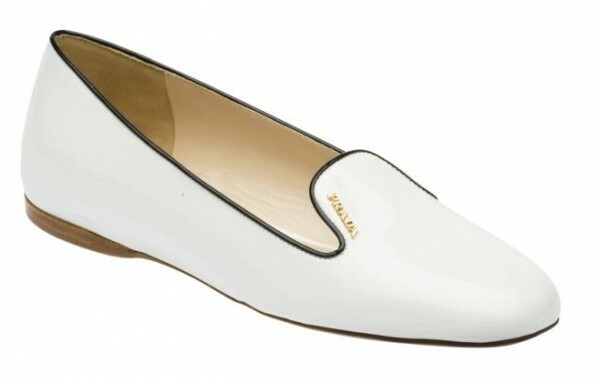 Since last season, the slipper shoe has been on every fashionista’s style radar and there is no end in sight. Prada has just launched a stunning capsule collection that is screaming “BUY ME”. 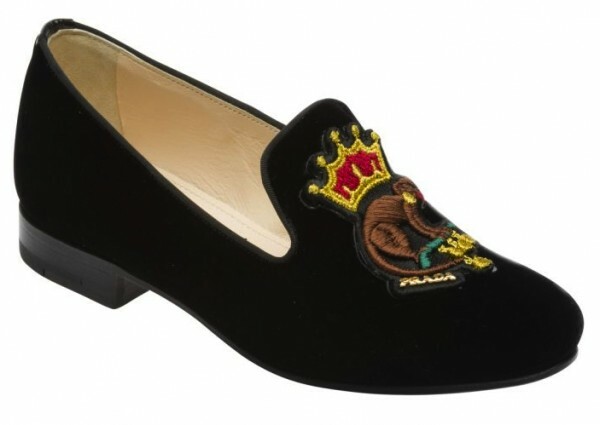 The new Prada slippers feature a range of distinctive details and novel combinations. Slipper in iridescent velvet with embroidery in satin thread. Slipper in three-color sequins. 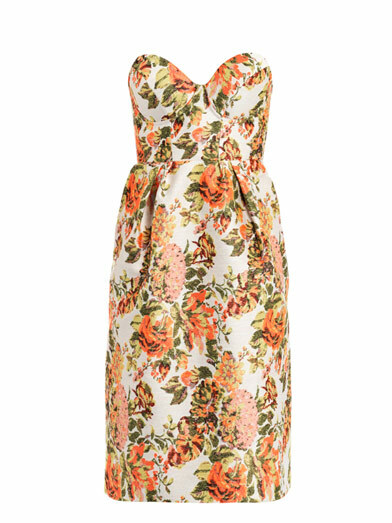 The embroidery recalls iconic Prada flowers and lozenges. Slipper in brushed leather with metal studs and hand stitched paillettes. 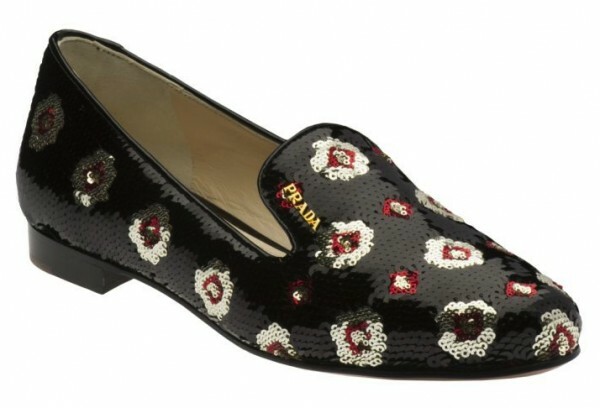 Slipper in patent leather with plex embroidery and hand stitched paillettes. Slipper in two-color patent leather. Those beautiful slippers are in stores now. Prices range from CHF 410.- to CHF 860.-. Valentine’s Day is coming up soon and you might be looking for the perfect outfit to wear on a romantic date. Amanda Seyfried looked pretty amazing at the 16th Annual Hollywood Film Awards Gala in Los Angeles sporting a scarlet red bodice dress from Prabal Gurung’s Resort 2013 collection combined with trendy metallic accessories. 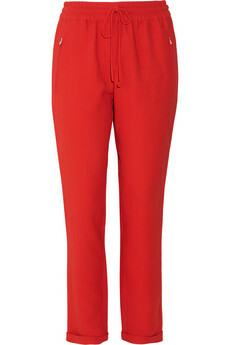 A look that would prove your style prowess and that is in stores now. Mesh-trimmed silk and cotton-blend satin dress by Prabal Gurung, Pearce metal and Perspex octagonal clutch by Kotur and Biel leather wedge pumps by Jimmy Choo. Starting from today, you should keep your eyes open for a very special window installation that will roll out across more than 70 Gucci boutiques around the world (unfortunately not including Switzerland) and will remain until mid February. 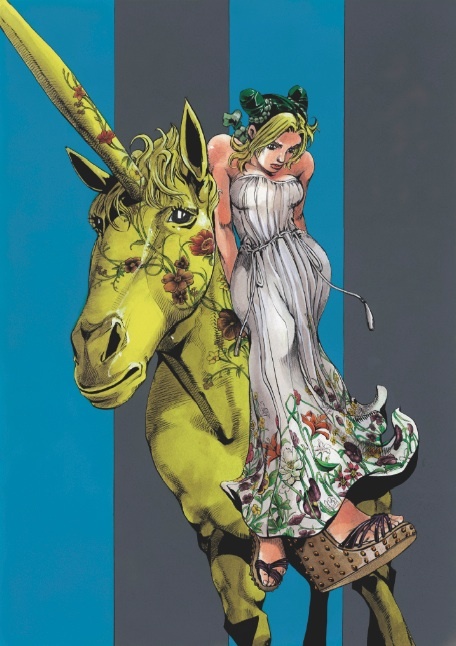 For that project, Frida Giannini collaborates with renowned Japanese Manga artist, Hirohiko Araki, who has created an exclusive Manga (Japanese comic strip) story inspired by the Italian house’s beautiful Cruise 2013 collection. 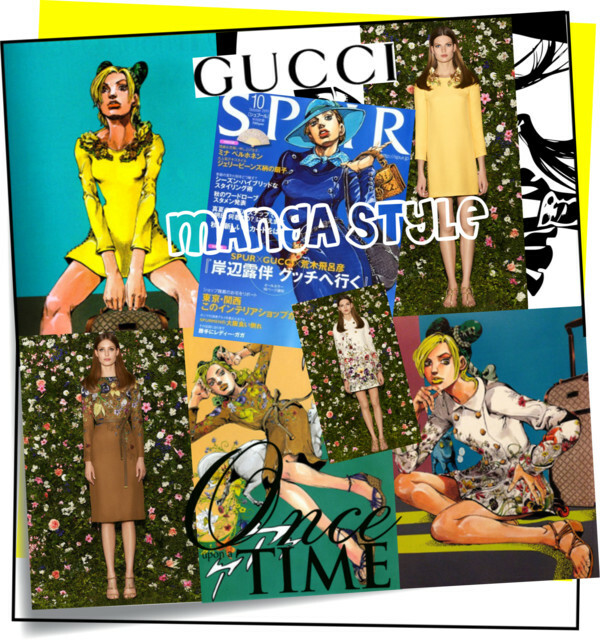 A multi-media campaign will complement the window installation, including the publication of the full Manga story exclusively in Japan’s Spur magazine. 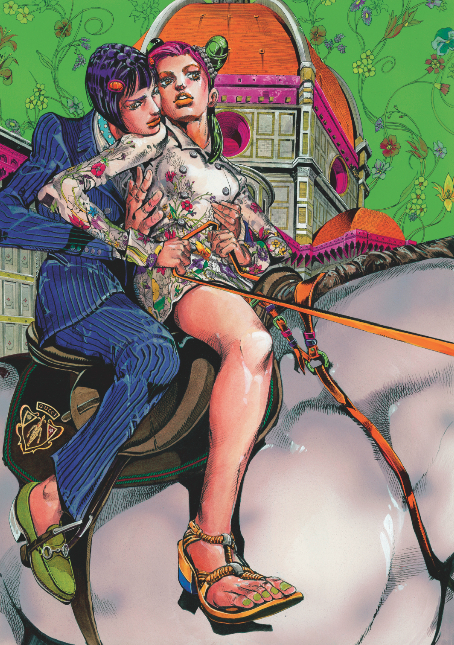 Entitled “Jolyne, Fly High with Gucci,” Araki’s Manga tells the adventure of Jolie Kujo, a student who inherits a keepsake from her mother’s Gucci collection. Propelled by the mystery behind her vintage treasure, she embarks on a journey that transcends time. 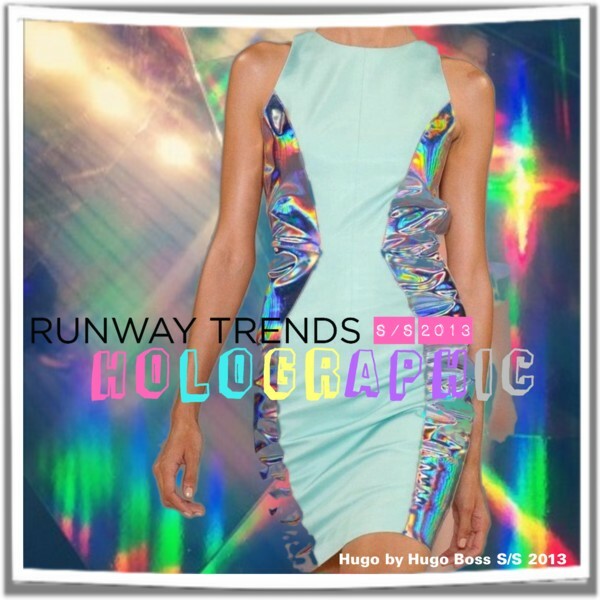 Futuristic fabrics are high on this new season’s designer agenda and holographic looks are having a major fashion moment for S/S 2013. It is all about “Dress to Shine”! 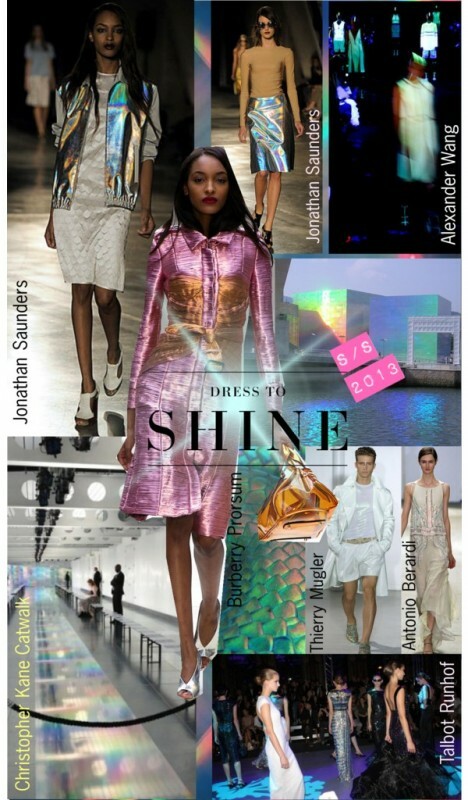 Christopher Kane showed his collection for S/S 2013 on a holographic catwalk and Alexander Wang turned off the lights to enlighten the special fabrics of his clothes. 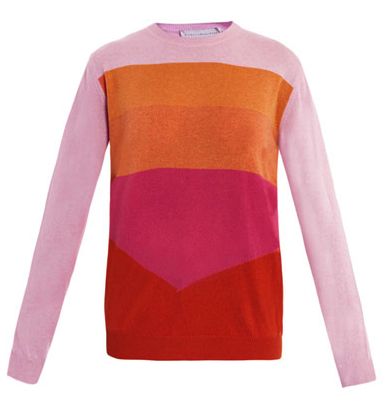 The trendsetter this season is definitely Jonathan Saunders. 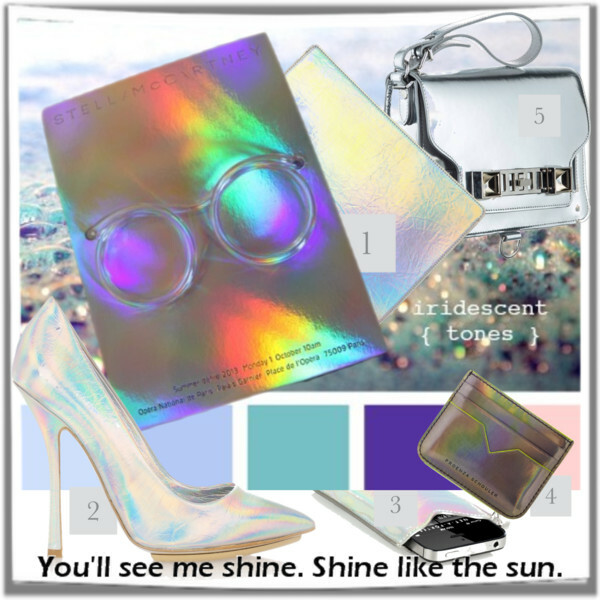 His holographic pieces will be on every fashionista’s wish list. 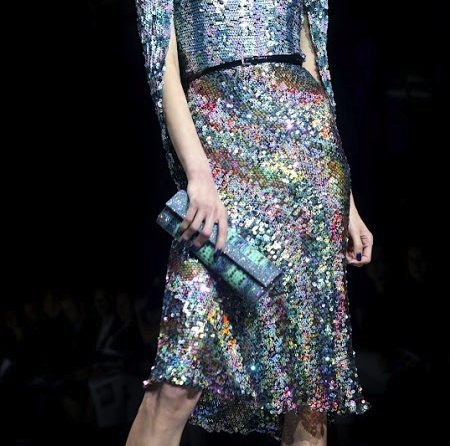 Christopher Bailey makes us drool over his metallic shiny fabrics for Burberry Prorsum that shimmer in all shades of the rainbow. 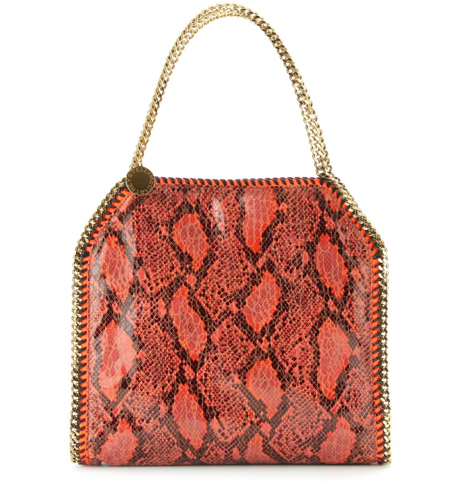 Stella McCartney and Proenza Schouler‘s sleek accessories are my favorite way to tap the trend, perfect for New Year’s Eve!